Meet Henry the miniature dachshund. Henry has graduated as an Animal Assistive Therapy dog through an extensive 5 day course with Therapy Dogs Australia. 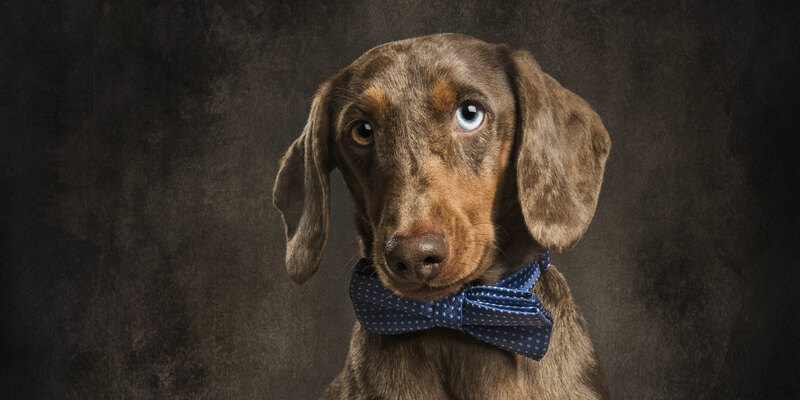 As most people who own a dachshund would realise, they are not the easiest dogs to train and prefer to do things on ‘dachshund time’. However, Henry’s mum noticed something special in Henry when people of all ages, backgrounds and demographics would smile as they looked at him or would stop to give him a quick pat. He had the ability to brighten your day simply by looking at you and wagging his little tail. When someone cuddled him, it seemed as if nothing else mattered. Henry’s mum always had a strong belief in animal assisted therapy and so she decided that Henry had what it takes. When she walked into their first day of training she realised that they were surrounded by Labradors, Golden retrievers and Poodles and she initial thought was ‘what am I doing here with a dachshund? !’ Henry not only passed the course but he excelled, and has continued to excel in numerous other activities he has participated in. I think this could be a lesson to us all, that regardless of expectations you can overcome great obstacles. Henry is able to work with people to assist them through mental and physical difficulties including injury rehabilitation and prevention, post surgical rehabilitation, anxiety and depression, increasing planning and sequencing and achieving any goal in which you wish to pursue. Together as a canine/human team, Occupational Therapy Plus animal assisted therapy, focuses on a client centred approach working with you to provide you with the right tools to achieve your goals. Henry is able to assist with increasing motivation, injury rehabilitation exercises, comfort during difficult times, companionship during community reintegration, completing rehabilitation exercises and he is able to be integrated into almost all occupational therapy sessions.